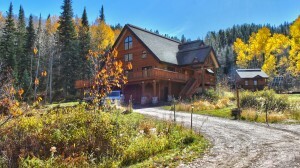 This spectacular home enjoys privacy and views through the trees in the prestigious Sanctuary community. 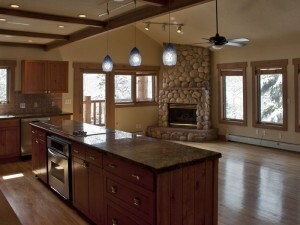 Step into a beautiful great room with towering ceilings and windows, cozy fireplace, and an adjacent gourmet kitchen. 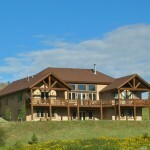 This four bedroom home has an office, game room, separate dining area, and spacious master suite. 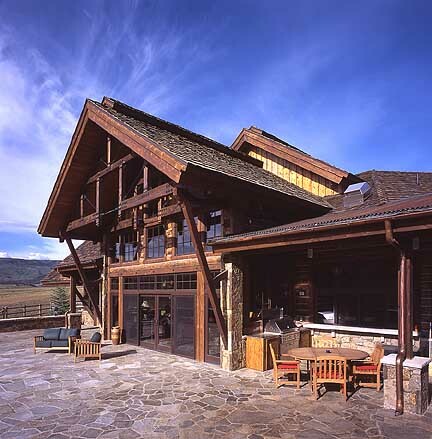 Outside, the perfect landscaping is accentuated by covered decks for year round usage, and open space in front and behind the home. With absolutely beautiful finish work and in immaculate condition, this home shows and feels like new. Enjoy the feel of the mountains from this quiet, off-the-beaten path location, yet you are so close to golf, skiing, hiking and more. 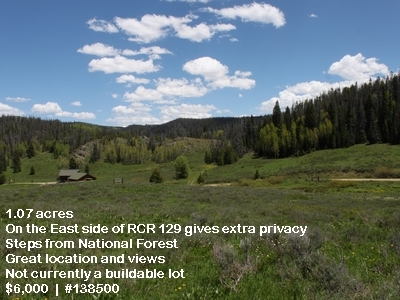 Access to trails and the National Forest is right outside your front door. 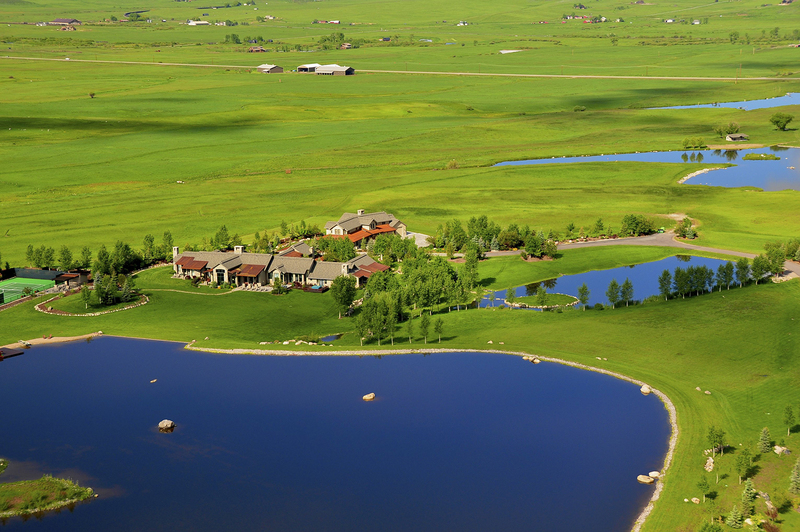 Membership to the Rollingstone Ranch Golf Course is included with a transfer fee. 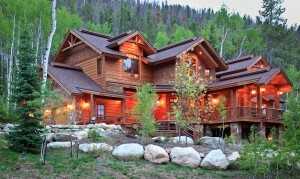 This is truly a magnificent home and property. Call us today to set up a showing or to get more information. In an effort to open up lending to lower-end and first-time home buyers, Fannie Mae and Freddie Mac recently announced that they will start backing mortgages with down payments of as little as 3% of the home’s price. Borrowers will need to meet strict criteria, the two government-backed mortgage giants said, but overall this seems to be a good sign for those looking to enter or get back into the real estate market. Both programs are for fixed-rate loans given to first time homebuyers and those seeking to refinance. See more details of this new program CNN Money here. 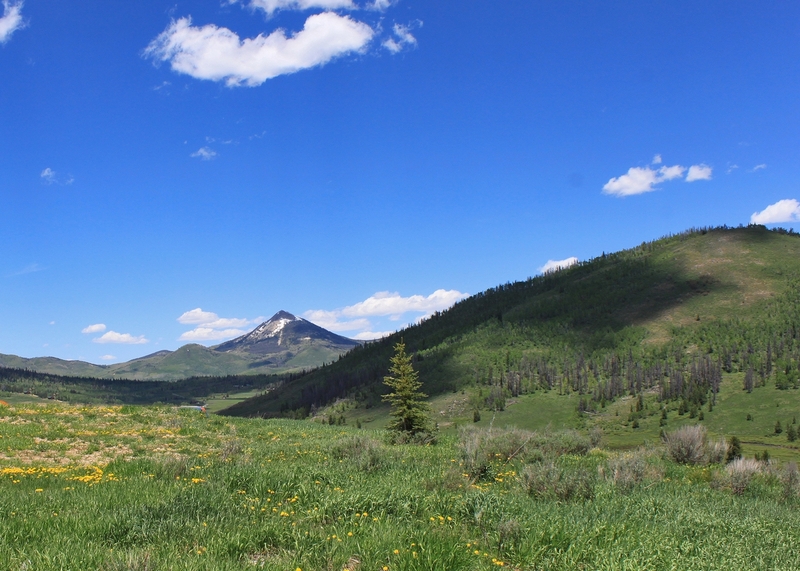 Steamboat Sotheby’s is proud to announce the merger of our main office with Buyers Resource in downtown Steamboat Springs. This will give our already prominent office in the Wildhorse Marketplace a new downtown venue to showcase our listings and attract walk-in visitors. The new downtown office will carry the Sotheby’s brand name and have everything you would expect from a Sotheby’s real estate office. The current members of Buyers resource will stay in the downtown office and we are proud to welcome them to the Steamboat Sotheby’s team. Doug Labor and fellow brokers Ulrich Salzgeber and Rachel Ryan will join the Sotheby’s team, bringing our roster of agents to 62. On October 30th, 2014, we held a party to introduce the new office to the local community. If you were not able to attend the party please stop in sometime and say hello. Nearly 150 people attended the event which showcased the office and, the agents, the beautiful and rustic décor, and the nearly overwhelming amount of helpful real estate information that can be found just by walking around the office. 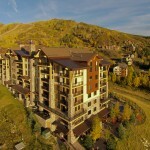 The new office can be found on 9th street, right between Lincoln Avenue and Yampa Avenue at 56 9th Street, Steamboat Springs, CO. Stop in and say hello to Doug and the new team of Steamboat Sotheby’s real estate agents or visit their website at www.buysteamboat.com. 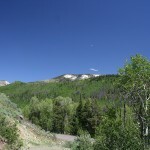 Click here to take a look at an article in regarding the merger in the Steamboat Today newspaper. 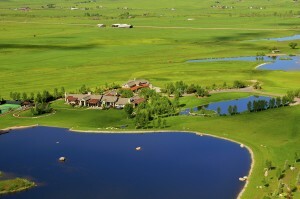 Do you prefer a working ranch with livestock, water rights, mineral rights, and a productive oil and gas lease? Or maybe you prefer more of a gentleman’s ranch? 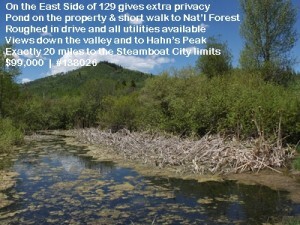 Maybe you want to be close to Steamboat Lake? 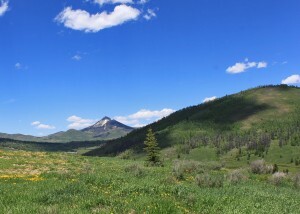 If you prefer close to town, then maybe the Wildflower Estate? 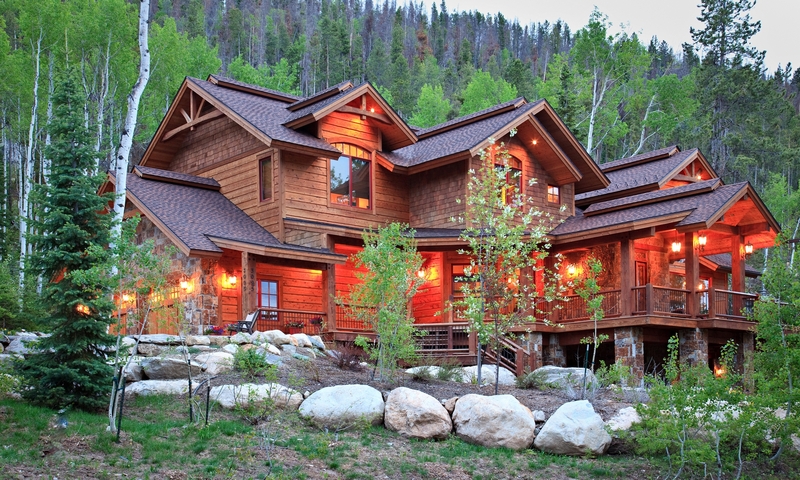 These are just a few of the interesting real estate facts compiled by Inman News. Click here for the full article. 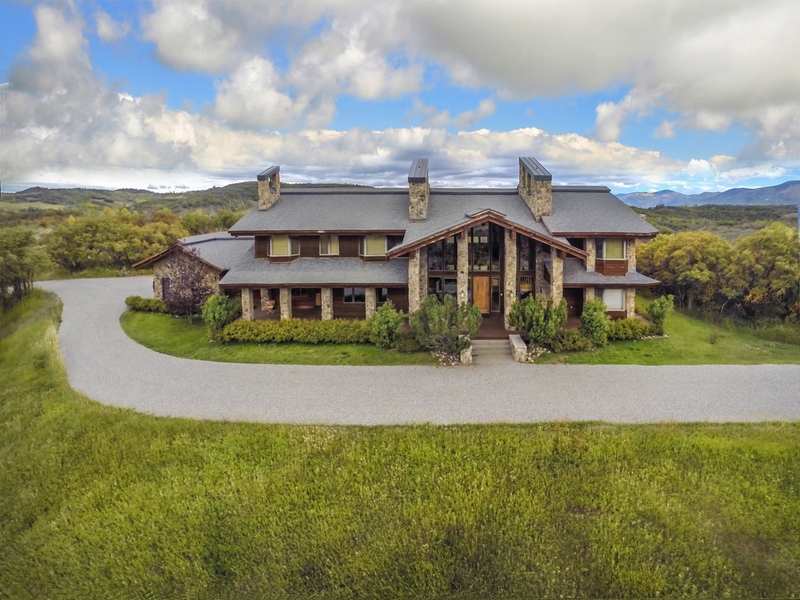 Please give us a call if you have any questions about Steamboat Springs Real Estates or if you would like a tour of any of these spectacular properties. This article appeared in Reside Magazine and was published on the SothebyReatly.com blog- article provided by Claudia Gryvatz Copquin exclusively for Sotheby’s International Realty. The tiles from the great room proceed out to the patio where an outdoor kitchen let you experience the endless views. Out is the new in. Plush sofas, area rugs, stone fireplaces–for the past several years, traditional furnishings and design elements that were once relegated exclusively to interiors have been trickling to exteriors, with homeowners creating exquisite residential spaces under the skies for relaxation and entertaining. And it’s not only the living room that has gone rogue. The solitary, standard patio barbeque grill has been replaced with sophisticated, gourmet kitchens complete with pizza ovens, flat screen TVs and built-in espresso machines. After cooking alfresco, homeowners wine and dine with family and friends under the stars and glittery chandeliers, followed by open-air movies or sports on pop-up screens. Nowadays “people don’t want to be confined to inside anymore,” says Suzanne Perkins of Sotheby’s International Realty in Montecito, CA. They want the option to literally spread out—and to interact with nature with the same comfort and style that they enjoy indoors. Indeed, when pros specializing in residential design were surveyed by the American Society of Landscape Architects to rate the popularity of outdoor design elements for 2014, kitchens and entertainment spaces were second most popular, at 92 percent (gardens and landscaped spaces came in first at 94.2 percent). 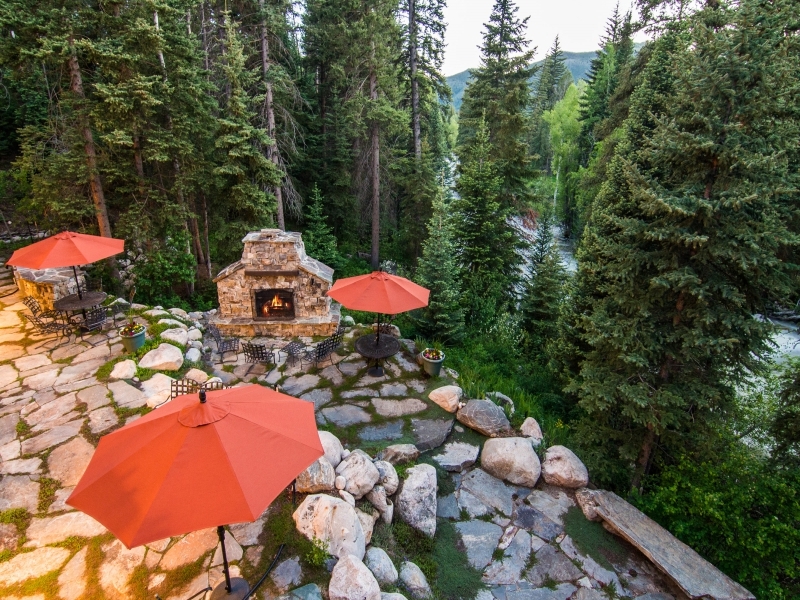 Multiple dining areas and an outdoor fireplace create the perfect area to relax alongside the beautiful Fish Creek. Surprisingly, that’s also now the mindset in areas that aren’t particularly warm year-round. 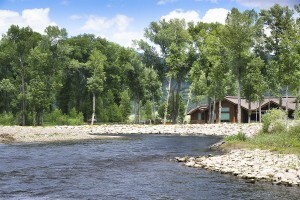 “Outdoor living is a really big trend here over the last couple of years,” says Andrew Ernemann, a broker associate at Aspen Snowmass Sotheby’s International Realty. 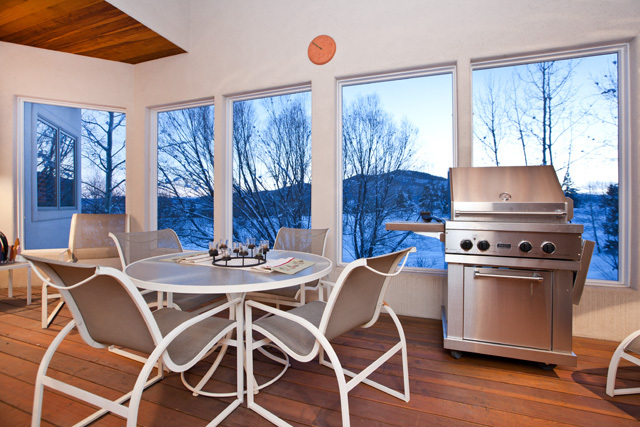 Although they have a short warm weather season, Ernemann’s clients want to maximize their time outdoors when they stay in Aspen. But the trend isn’t just about stepping out and reclining on a deck or patio. It’s far grander than that. “It’s about creating a personal destination. People want the entire experience of the best resorts in the world, incorporated into their outdoor spaces and customized for their needs,” says MacArthur. One of the best ways to achieve a seamless, organic flow with an open floor plan is by utilizing floor to ceiling sliding or swinging glass doors, suggests Perkins, “so the outside isn’t a secondary defined area, but more of a smooth transition from inside to outside.” Click here to see the full article on SothebysRealty.com. 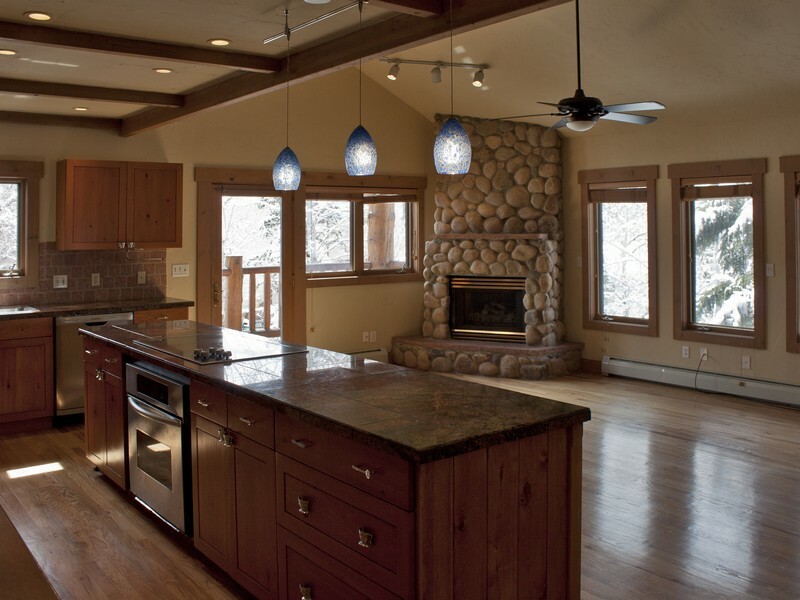 A screened in, covered porch lets you grill inside, stay warm, but still experience the outdoors and nature. 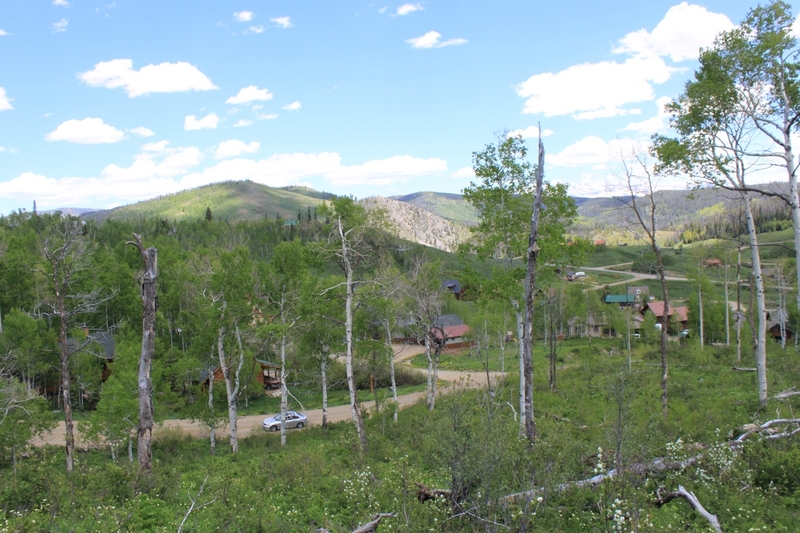 Just North of Steamboat Springs is this little subdivision that sits in the aspens and pines with amazing views in all directions. These gorgeous lots are in North Routt near Steamboat Lake, Pearl Lake and National Forest. 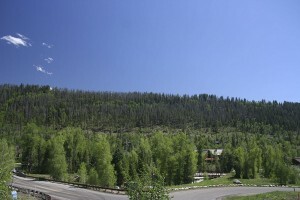 Recreational activities abound in the neighborhood or you can take a short walk to the National Forest where activities are endless. 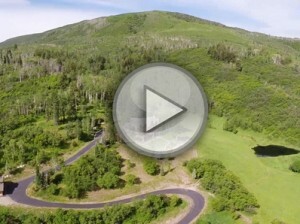 Find dramatic views from each of these lots. And it’s great to know that you are just 10 minutes to the marina at Steamboat Lake and 20 miles to the Steamboat City limits! Please give us a call if you have any questions or would like more information. 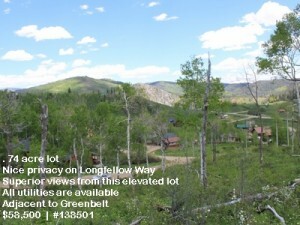 These lots in the Steamboat Lakes subdivision have both been reduced. 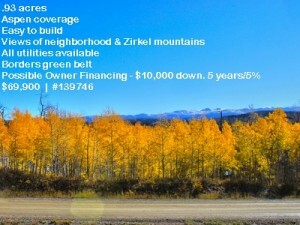 If your looking to build a new home or just buy a piece of land for investment, take a look at these two offerings. 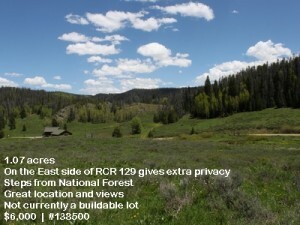 Representing the best real estate in Routt County, CO. 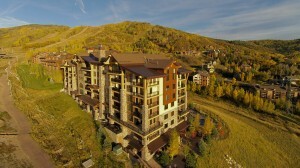 This Stylish Saddle Creek Town home was just reduced! 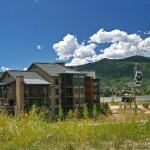 Enjoy beautiful mountain views from this nicely updated unit. With a newer kitchen and appliances, updated baths and flooring and excellent finishes, this town home is modern and comfortable. 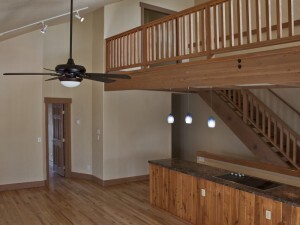 The layout is open with 3 bedrooms, 3 baths and a balcony area that is perfect for an office or play area. 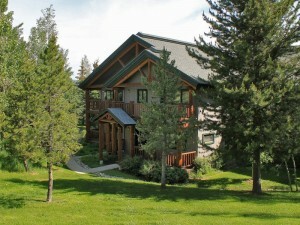 The main deck has ski area views and a private porch and deck off the back are dotted with trees for summer shade. An oversized 2-car heated garage offers additional storage area. Great features include granite counters, travertine and wood floors, and the loft which could be converted into an extra sleeping area. Give us a call for more information or a tour! We are pleased to unveil our newly designed SteamboatEstates website. 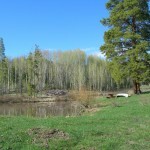 Please take a look around; search properties, neighborhoods, activities, and lifestyles. 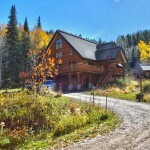 Find sold listings, new listings, property videos and more. If you have any questions please let us know. We are still working out some bugs so if you see anything that sticks out at you please let us know. 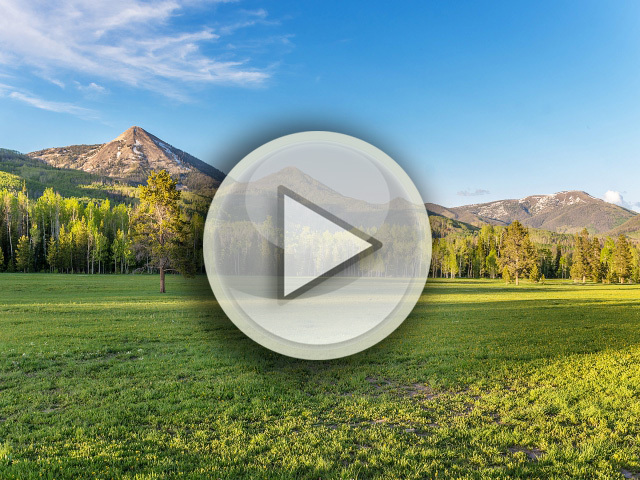 Check back often for blog updates, new listings, featured listings, articles, and real estates insights from Steamboats leader in real estate. 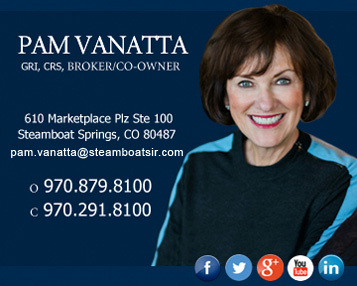 Pam Vanatta and the Vanatta group are happy to lead you, guide you, and fight for you in all your real estate needs. We’re excited about the new website and hope that you find it useful and informative. Give us a call, e-mail us, or find us on social media and let us know what you think. 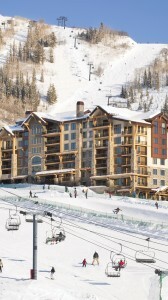 Thank you Steamboat and all of our amazing clients for helping us get here. Take care and come see us soon!